Radha tells Ayan that she does not know if she has any place in Krishna’s heart or not, truth is she loves Krishna and will accept truth for the sake of love. Ayan says if she reveals truth, how will her father face Barsana vasi. Krishna heads towards Yamuna river. Huge waves return back once he steps in. Krishhna requests devi Yamuna not to be leniant on him as he has to repent for Radha’s sin. Yashoda cries concerned for Radha. Nand says Kanha has to repent for his sin. Krishna gets into river bearing huge tidal waves. Gowri mata from Kailash thinks why yamuna devi is not calming even when Krishna is entering. Tidal waves throw out Krishna. Radha reaches there and gets worried seeing that and thinks how can she let her love Krishna repent for her sins. Krishna enters into river again and dips repeatedly. Radha runs back towards Barsana. Mahadev/Batuknath stops her. Kans chats with Jatila and Ayan via black magic and asks if Krishna is more powerful than him and is his end, then why don’t he come to Mathura. Jatila says she does not know. Ayan says he will he happy hearing that Krishna and Radha hate each other now and describes whole incident. Kans says he got his answer. Jatila thinks why she did not understand, what is secret of shivling. Mahadev/Batuk asks when Krishna is struggling for life, how can his love run away. Radha asks what he means. Batuk says Krishna considers him as elder brother and does not hide anything from him. Radha cries that she did a big sin and Krishna is repenting for her sin; if she reveals truth, her parents will be insulted, she does not know what to do. Batuk asks her to go and help her love as Krishna is truth. Radha thanks him for clearing her doubt. Batuk gives his damroo to her. She plays damroo to garner everyone’s attention. Vrishbhan asks what is all this. Radha accepts that she did a big mistake. Vrishbhan asks what mistake. Ayan tries to stop her, but she signals him to stop and says she spoilt Shivling by submitting ketki flower, so she is at mistake. Vrishbhan angrily asks how can she do that. Kirtida asks if she is trying to save her friend. Nand says she does not have to shield her friend and let him pay for his sin. Radha says she purposefully did a sin by keeping ketki flower on Shivling. Mahadev thinks Radha is out of her jealousy and even Krishna completed his repention. Krishna smiles thinking Radha got rid off her jealousy and asks devi Yamuna to calm down now. Yashoda asks Radha why did she lie. Radha says she had to. Yashoda says she did a big sin and seeing Krishna retuurning safe asks if he is fine. He says he is. Yashoda confronts Radha that Krishna had to dip 100 times in Yamuna, why did she do such a big sin. Radha says due to jealousy as she did not want Chandravali to make Shivling with Krishna and apologizes her. She then apologizes Krishna for misunderstanding her. Ugrapath says spoilt pooja has to be completed. Yashoda says Radha has to repent for her sin, she has always put Krishna into trouble with her mischiefs. Vrishbhan says Radha will climb mountain and prepare Shivling, it is his final order. Krishna gives moral gyaan that everyone wants to achieve success, but most cannot, so some use wrong way; in short if they are not achieving success, it is their jealousy and greed that is not letting them succeed, so they have to use a proper way to achieve success. Precap: Radha climbs mountain. Krishna tells Mahadev that Radha is climbing mountain fearlessly. Radha prepares shivling drenching under rain. Mahadev and Gowri mata marry revolving around shivling and bless Radha and Krishna to be always together. 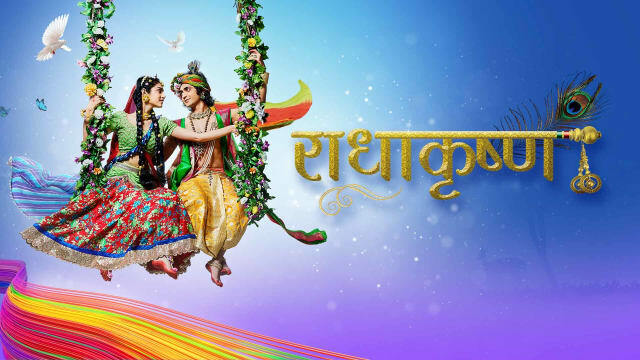 The post RadhaKrishn 9th March 2019 Written Episode Update: Radha Confesses The Truth appeared first on Telly Updates.